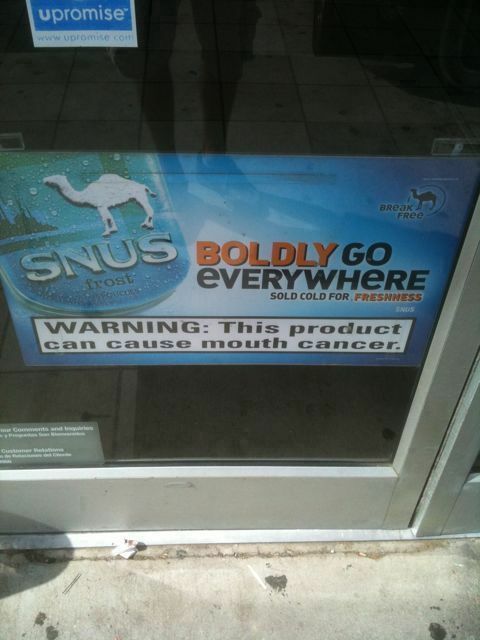 Saw this ad for Camel SNUS at a convenience store. Camel SNUS is a smokefree, spitfree tobacco that comes in little pouches like dip. I love the huge disclaimer. “Boldly go everywhere”…with mouth cancer. If you are addicted to tobacco products, you’ve got to stop. Do it now, for yourself and your loved ones. 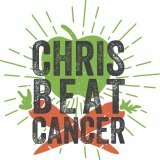 Yes it’s going to be hard, but nicotine withdrawl is nothing compared to the pain and misery of cancer or emphysema.